Now that we have had a full day to sit on this oddly spread announcement from Samsung that they would be selling a “developer edition” Galaxy S3 to Verizon customers, we thought we would share some thoughts on it. It’s a move that we have seen from companies like Motorola in the past, but is it a move that will actually benefit anyone? Is it just a PR move? Will it make for a robust ROM community? Let’s talk about it. First of all, a big “Thanks!” goes out to Samsung for making this phone available. From what I understand, they fought a bit to give Verizon customers an option. While it may be an expensive option with a warranty that we would love to know more about, it’s at least going to be there for the taking. On paper, having a “developer edition” phone might sound like an excellent choice for those that truly can’t live without an unlockable bootloader. But think about this situation for a second. If you have a locked down version that the majority of the public has, plus this developer version that very few will likely buy due to price, you will have two developer scenes. Unless this developer edition gives us some sort of key to unlock the subsidized version, we’ll have two different communities. The unlockable phone will have developers busting out full AOSP ROMs and freely doing whatever they please to their phone, while the rest of the world will be stuck with kexec hackjobs. That might sound negative, but all I’m imagining is a split community and a bunch of confusion. Which do you go with – unlockable and potentially smaller community or locked and big community? In theory, locking bootloaders probably means less bricked phones since you are trying to keep people from doing too much damage, right? But what about the theory that people will continue to try everything in their power to hack on their phone because it is locked, which could lead to more bricks? Not only that, but it’s much more risky to hack on a phone with a locked bootloader than one that is open to anything. Sure, we have a factory ROM for the phone already, but you could argue that even that is just giving people more incentive to hack away and potentially brick. Tough to tell which is correct. I just don’t know that locking is going to save Verizon the hassle of dealing with customer issues. I couldn’t think of a better word to describe this situation. 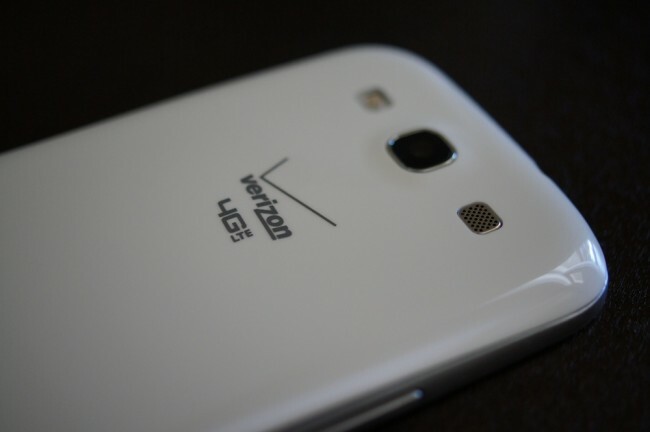 Verizon claims that they locked down the subsidized version of this phone because unlockable bootloaders lead to issues with phones that their customer service reps aren’t prepared to handle and because unapproved software could affect the network and other customers. But if that’s the case, why allow Samsung to offer this phone at all? This unlockable version is still going to run on VZW’s network, people are going to load unapproved software on it, and if the volume rocker stops working or the display dies, they are going to call Verizon to get support. So you can pay $600 and do whatever you want to your phone on their network, but they won’t let you do it at a discount. Or they simply do not expect anyone to buy it. Two things to mention there. First. the price is unfortunate at $599. While it matches the full retail price that Verizon is selling it at, I can’t imagine that very many will buy this thing. Most of the readers that bought the Galaxy S3 were using their last upgrade, so that they could keep unlimited data and also to put off buying full retail phones for another 2 years. I don’t know the pricing breakdown of parts for the GS3, but Google has managed to sell the Galaxy Nexus for $350 through their store. If an unlockable bootloader is that important to you and you are thinking of paying full retail for a phone, why not go with the ultimate tinkerer’s toy and save yourself $250? With that said, I have mentioned a couple of times over the last month that I hope people can start to think differently about the way they pay for smartphones. If you are buying a phone every 2 years, why not save up and pay for it at full retail? It keeps you off contract, with flexibility, and with all of the power. Plus, Verizon could very well do this in the future with all of their phones. They may lock them all down and force those that want to actually own their phone, to buy them at full retail. No better way to get in that mindset than with a “developer edition” Galaxy S3, right?